How Much B12 Should I Take on a Vegan Diet? As soon as you start talking about a plant-based diet, there are going to be prejudices and all kinds of opinions. The most common argument against a vegan diet is that it allegedly lacks in protein or the essential Vitamin B12, which can only be found in animal products. 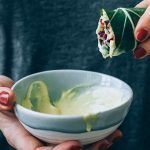 This can keep people from giving this way of eating a try – but in fact, there is a lot more to that statement than most know! Do you need to worry if you just switched to veganism? It can take several years until your B12 stores are depleted and it’s usually rather easy to reverse the symptoms should a deficiency arise. On average, for someone raised on the Western diet, about 2 to 5 milligrams of B12 are stored, mostly in the liver. This means most people have at least a three-year reserve of this vital nutrient. This is very important: You need to check your B12 right away to have a baseline of your levels. Be sure to ask for the right type of test though. A regular blood test is not going to get the job done as it only measures the B12 in your blood which isn’t necessarily being absorbed by your body. It also takes B12 analogues into account and can therefore indicate falsely high values. To determine your actual B12 storage (the amount that can be utilized by your body), you need to specifically ask your doctor to measure the homocysteine- and methylmalonic acid (MMA)-levels in your blood. Either or both of these values being high is a strong indication for a deficiency in B12 and you should start supplementing right away. B12 comes from microbes (mainly bacteria) that are found in soil, water, and the digestive tracts of animals. It is NOT found in plants. Some plant foods like sea vegetables contain similar chemical compounds and are therefore called analogues. These analogues, however, do not offer the same nutritional value and thus, can’t be used as a replacement or alternative. Back in the day, we used to get B12 by drinking well water / water from mountain streams or by getting in contact with soil rich in organic matter as we didn’t wash our vegetables to the extent we do today. Nowadays we live in a world where our drinking water gets chlorinated to kill off any bacteria and the soil that’s used in agriculture is highly sterilized so we get only minimal amounts of B12 from natural sources. It’s true that there are bacteria in our large intestine that produce Vitamin B12, but they live far away from the small intestine where the actual absorption takes place. As mentioned before, B12 is kind of hard to get by with plants alone. Even foods that are often times regarded as good sources of B12 like seaweed or all kinds of fermented foods are not sufficient. They primarily contain B12 analogues that can not be absorbed by your body. In a best case scenario, where you would only drink fresh spring water, grow vegetables in your own garden and consume them without washing off all the soil, you might be able to get a certain amount of B12, but even then you can never be quite sure if you are meeting your needs. 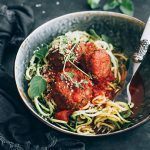 There are lots of foods out there (especially plant milk or vegan meat alternatives) that are fortified with B12, but they usually contain all sorts of other artificial additives as well, and therefore, can’t really be recommended. The most convenient, cheapest and reliable option by far is: taking Vitamin B12 supplements. While it is true that meat naturally contains a decent amount of Vitamin B12, this doesn’t mean that omnivores are unable to develop a deficiency as well. Around 40% of the US population show some form of B12 deficiency. That’s because those following a diet based on animal products, cooked and artificial foods tend to have less of the protein 'intrinsic factor' which helps with vitamin absorption. Besides, eating meat promotes a whole array of other health problems and risks (like the increased chance of heart disease or cancer), so you really shouldn’t consider incorporating meat just to fulfill your B12 needs. Vitamin B12 plays its part in several biochemical reactions in the body. To put it short, it is essential for DNA synthesis, cell division, building red blood cells and a proper function of the nervous system. A mild deficiency usually causes symptoms like feeling tired and low in energy, experiencing numbness, reduced sensitivity to pain or pressure, lack of appetite, blurred vision, and poor memory. If untreated, you can develop a serious anemia that leads to constant dizziness, weakness, and degeneration of the oral and intestinal mucosa. A long term B12 deficiency can also do sustained damage to the spinal cord and the central nervous system. This can cause uncoordinated movement, loss of reflexes, disturbance of memory or even psychoses. Furthermore, a lack of B12 leads to increased blood levels of homocysteine which results in an increased risk of atherosclerosis (damage of the arteries). The national institute of health recommends a daily dosage of 2.4 micrograms Vitamin B12 per day for ages 14 years and older, 2.6 micrograms for pregnant females, and 2.8 micrograms for breastfeeding females. Since B12 is a water soluble vitamin and, it doesn’t do you any harm if you go beyond that recommendation. As Dr. Michael Greger puts it: The worst that can happen is that you end up having expensive pee. Methylcobalamin is the most active and natural form of B12 and absorbs especially easy, it doesn’t need any converting and can enter the bloodstream sublingually. However, most studies that have been done on B12 used Cyanocobalamin and it's therefore considered an effective and reliable form as well. Supplements come in different forms like tablets, sublingual, sprays or even injections. We recommend going with the oral tablets or the sublingual version. There’s no real evidence that injections are more effective than high dosage pills and there’s just too much that can go wrong with that method. This supplement right here is cheap, vegan, and will last you over a year if you take one of the highly-dosed lozenges per week. Our vitamin B12 is produced through a series of fermentation reactions. Natural mixed berry flavor and flavors from other natural sources, xylitol, and citric acid are added for flavor. 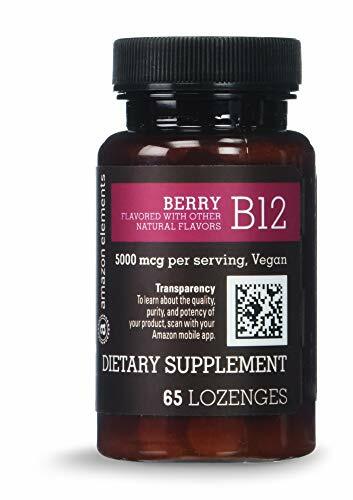 If you like Jarrow Formulas Methyl B-12 lozenges, we invite you to try Amazon Elements B12 lozenges. It takes years to develop a B12 deficiency when being on a strictly vegan diet. Meat eaters can suffer from B12 deficiency as well. Long term deficiency can affect blood building and the nervous system. Have a blood test done that actually measures your B12 storage, not the amount in your blood. B12 supplementation is easy, safe and cheap. Cyanocobalamin or Methylcobalamin are good choices and can be taken in form of high-dosed tablets once a week. Have you been dealing with a B12 deficiency? What do you do to get enough of this vitamin? Let us know in the comments below. I believe the B12 topic is really confusing, some doctors like Dr. Michael Greger suggest we supplement the cyanocobalamin form because most studies have been done using that form. And the few studies done on methylcobalamin showed some problems. Apparently also Dr. John McDougall changed his opinion and started prescribing cyanocobalamin instead of methylcobalamin. I think Mic. The Vegan has a nice video about B12 and he also agrees on cyanocobalamin. What are your thoughts? Where did you get your information about methylcobalamin being a better version for us. More I search for this subject, B12, more confused I get…sad. Hi. I have a 5 years old vegan kid from birth. Can you please suggest how much kids need to supplement B12? My doctor recently recommended a B12 injection due to a low normal range of it through a blood test. I had the worst breakout of my life, and my skin is still trying to go back to being smooth a month later. Has anyone noticed this happening with just the pills?